At one point in time, mullets were in style - especially in hockey. In the 1990’s, Jaromir Jagr helped make mullets famous for nearly a decade. But in 2016? 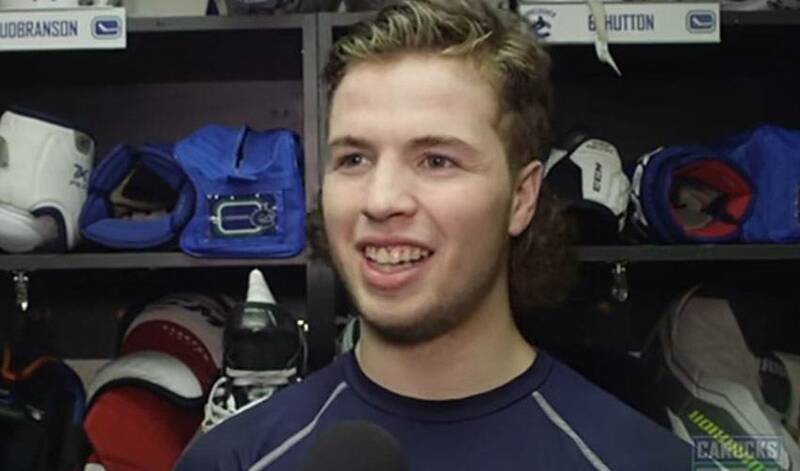 The mullet isn’t exactly a style you see every day – unless you’re Canucks d-man Ben Hutton thanks to a bet lost to his teammate. Prior to the Vancouver Canucks’ game last week in Tampa Bay, Erik Gudbranson bet Hutton that if he scored the game-winning goal that he’d be forced to let his defence partner choose his next hair style. Hutton, thinking it was a safe bet, agreed to the terms and did not expect that Gudbranson would score his first goal of the year that same night to help lead the team to a tough road win. With his wager victory intact, what hairstyle did Gudbranson choose? Well, one modeled after “Kenny Powers” from the HBO series ‘Eastbound & Down’, of course. He might not like it, but this new haircut comes with a silver lining. Hutton netted a goal the following week in a game against the Carolina Hurricanes. He was originally only supposed to keep the haircut for four days, but with results like that, maybe it sticks around longer?